Get the Lots of Lavender stamp set FREE! The Lots of Lavender stamp set is probably one of my favourite Stampin' Up! Sale-A-Bration sets of all time. 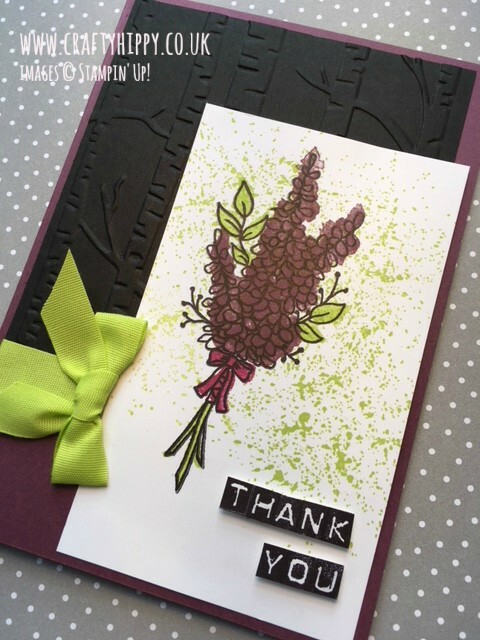 It is a classic Stampin' Up! stamp set. You can either use the block colour stamp on your stamped flower image, or use Stampin' Write Markers or our Stampin' Blends to colour your flower image in. The possibilities are endless! I've included a chart of the products I've used below in case you'd like to recreate this project exactly as it is.